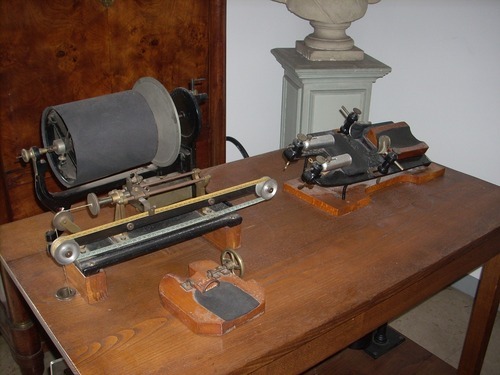 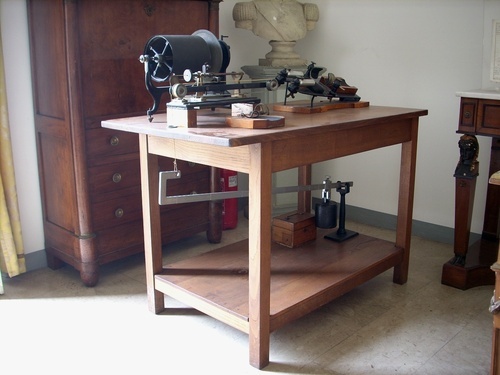 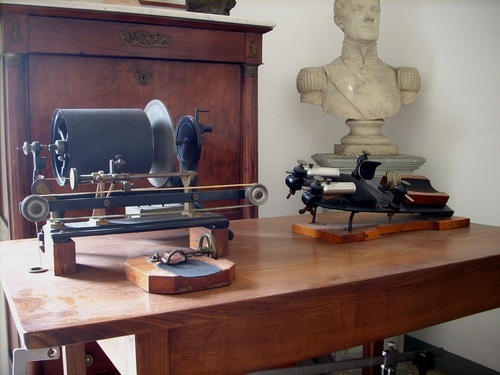 The original model of the Ergograph devised and used by Angelo Mosso during his physiological studies on muscular work and fatigue can still be seen in the Accademia di Medicina di Torino in Turin. 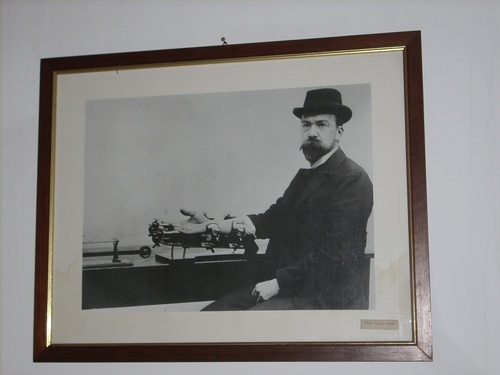 We can also see a photograph with the scientist while using himself the Ergograph. 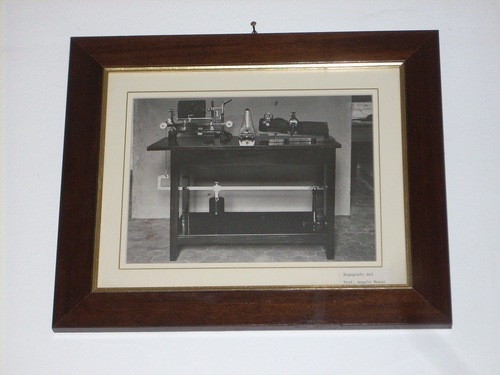 Photos by Luca Borghi ti.supmacinu|ihgrob.l#| (June 2010), courtesy of Prof. Alberto Angeli, President of the Accademia di Medicina.